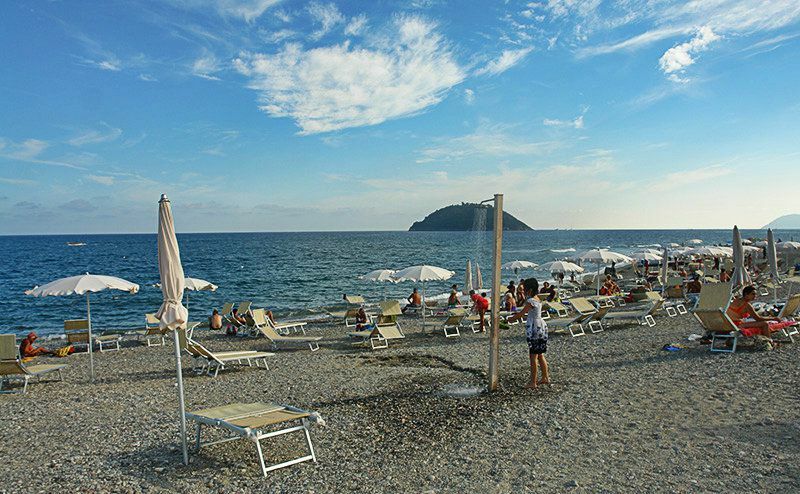 Visit the medieval town of Albenga and practice diving in the ideal underwater of the city of Albenga in Liguria, Italy. Do you like diving? 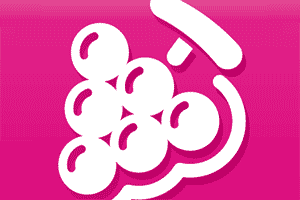 Then you will have great fun in Albenga. 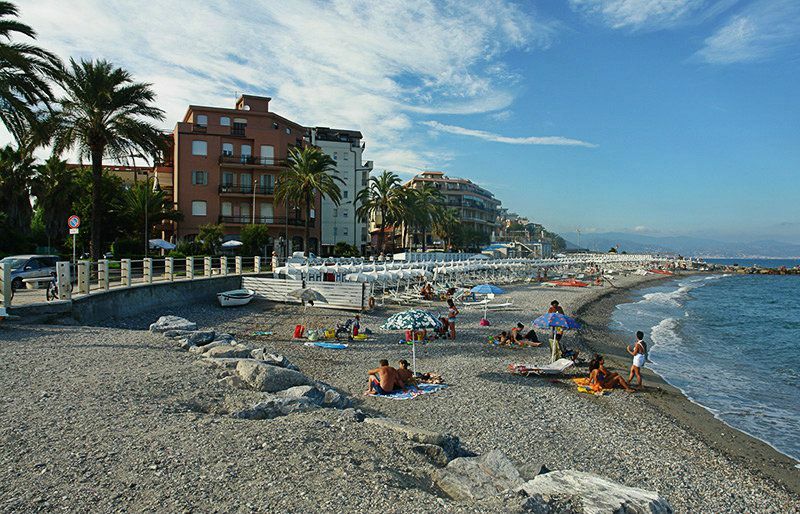 The coastal promenade together with the beach is very popular with divers due to its shallow waters. The shipwrecks are very exciting – a unique experience for both young and old! For those who would rather stay on land, there is some wonderful leisure activity taking place in the official park at the mouth of the Centa River. There is a wonderful kind of park for birds there, where many different types of bird colonies have settled. Shopping fans will not come off badly either in Albenga. 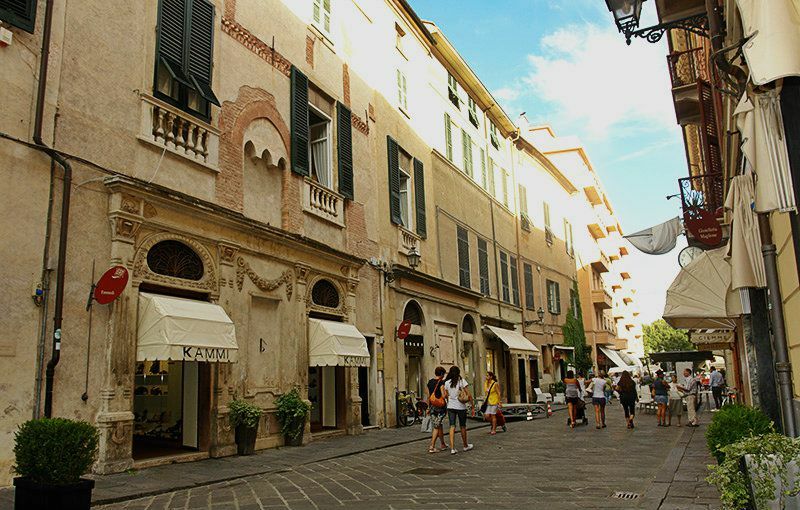 Via Italia and Via dei Mille, on the other hand, with their shops and cafés are very popular with all holiday makers. Whether you would like to have some nice window-shopping or to simply drink an espresso while relaxing - Albenga has a wide variety for you. 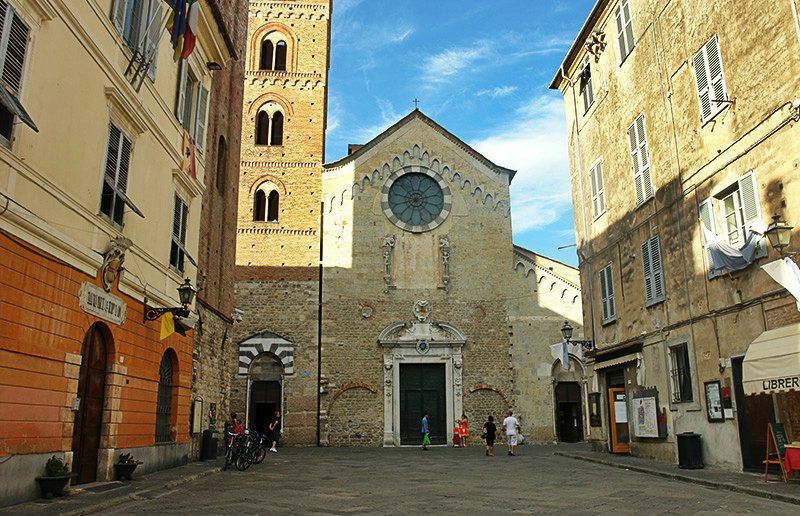 The centre of Albenga‘s civil life is to be found on the Piazza San Michele. The Palazzo Peloso Cepolla, which used to be the tower of houses belonging to the Malasemenza family, is situated on the Piazza. The town centre is characterized by many styles and epochs, and hence absolutely worth a visit. Would you like to take a break and get some change from the usual holiday house and beach? There is a wide variety of museums in Albenga that are worth seeing, starting with the “Civico Museo Ingauno” town museum which houses splendid archeological pieces dating back to the Middle Ages and also to the Roman era. The current museum is located in the town hall. Equally interesting is the museum of early history which houses a number of different collections of materials and pieces like fresco paintings, paintings and carpets from the caves of Pennavaira valley. There is also a permanent exhibition of olive growing which can be found in an active olive oil mill. Via Augusta offers you an interesting archaeological tour. There are several hiking paths running along the way from the San Martino church up to Santa Croce di Alassio. 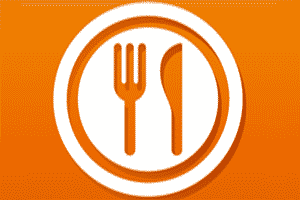 From there you can access many other interesting towns as well as excellent restaurants. The Roman town of "Albium Ingaunum" was founded in the second century BC on the site of a citadel of the Ligurian Ingauni. 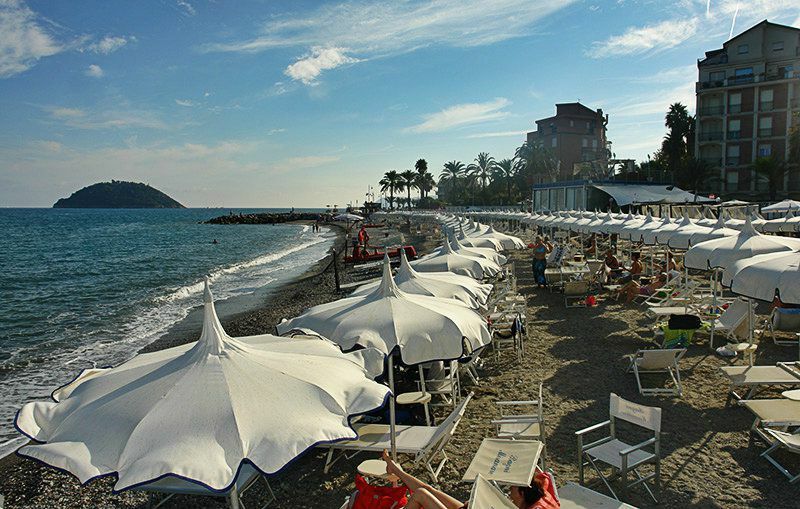 The coastal region of Albenga, which is crossed by the River Centa (formed by the confluence of the Arroscia and the Neva), has features that are unique in Liguria: a vast area of fertile land near the sea that is efficiently connected by road with the hinterland and Piedmont. 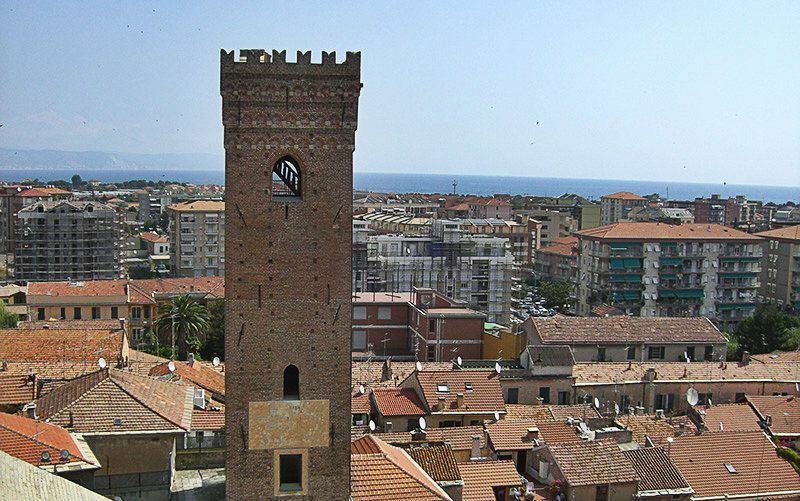 During Roman times, Albenga and Ventimiglia were the most important centres in western Liguria: Albenga was the birthplace of the Emperor Pertinax. The layout of the medieval town was made to adapt perfectly to the Roman settlement: it is very difficult when looking at the older walls and buildings to distinguish parts belonging to different periods. On the bed of the river Centa, just outside the town walls, remains have been found of baths, an aqueduct and a Roman burial ground. The remains of a second-century amphitheatre are also visible. At the heart of the mediaeval town are the cathedral of San Michele with its three towers (an early Christian temple reconstructed in the thirteenth century with an adjacent decagonal baptistery), the old fifteenth-century municipal building (now the Ingauno Civic Museum) and the Casa dei Malasemenza (now the town hall). 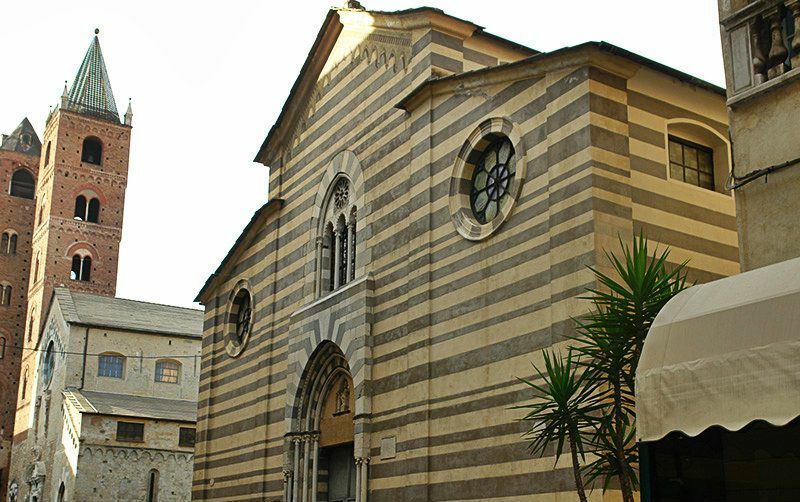 There are numerous other historical buildings, including the tower-houses and religious buildings, which all go to form one of the most compact and interesting old town areas in Liguria. The archaeological itinerary along the Via Julia Augusta starts at the church of San Martino and ends at Santa Croce di Alassio. 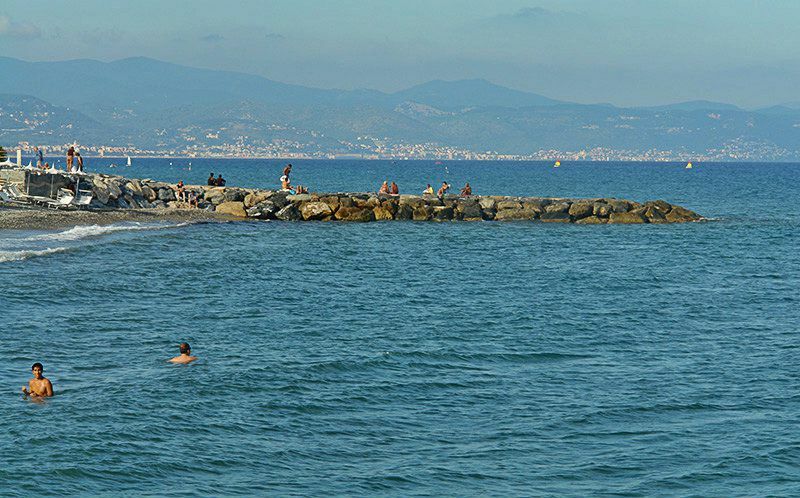 There are also many other excursions to be made through the Mediterranean maquis, the coastland and the hills that are closest to the sea: in the direction of Casa Bianca, Salea, La Colombera, Campo Chiesa and Monte Bignone (300 m.). 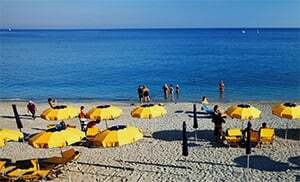 Albenga belongs to the municipalities of Garlenda, Il Poggio, Leca d Albenga and Villanova, and is one of the villages in the province of Savona which lies in the Liguria region. 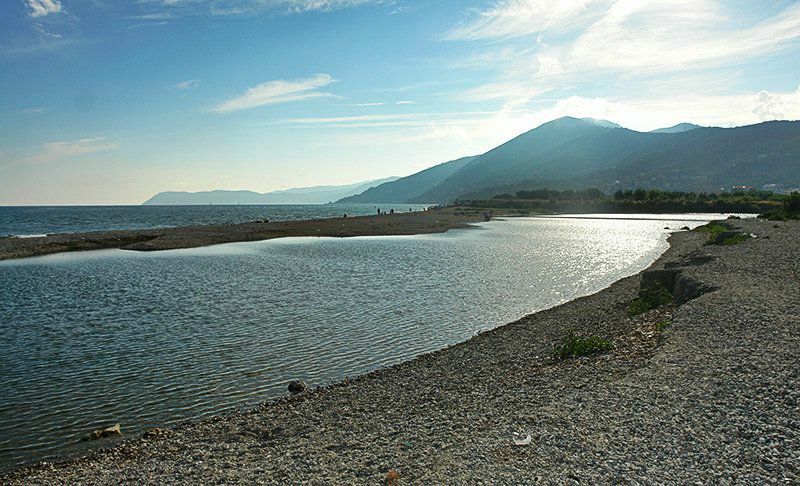 There are several other small villages near Albenga, for example: Campochiesa (4.5 km), Ceriale (6.1 km) and San Giorgio (3.8 km). 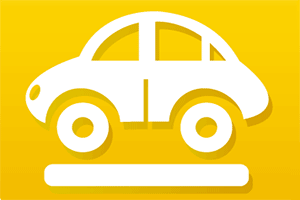 When coming from Genoa take the E80 highway exit to Albenga.